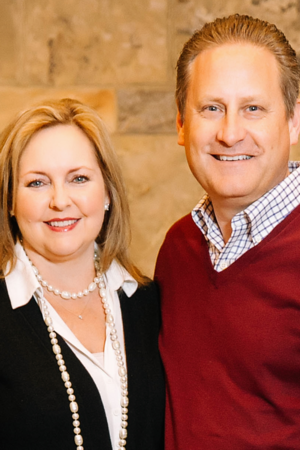 WASHINGTON (NRB) –Steve and Jackie Green will receive the 2017 NRB Board of Directors Award on Thursday, March 2, 2017, during the Closing Gala at Proclaim 17, the NRB International Christian Media Convention in Orlando, Florida. The Greens were selected to receive the Board of Directors Award for their work with Museum of the Bible – a 430,000-square-foot museum that is under construction in Washington, D.C., just three blocks from the nation’s Capitol. Steve Green serves as chairman of the board of Museum of the Bible and is the visionary leader in establishing one of the world’s largest private collections of rare biblical artifacts, known as the Green Collection. Green has assembled a team of experts to create the Museum of the Bible, dedicated to a scholarly and engaging presentation of the Bible’s impact, history, and narrative. Green is also president of Hobby Lobby, the world’s largest privately owned arts and crafts retailer. Over the past six years, Jackie Green has assisted Steve, her husband of 31 years, on the Museum of the Bible project and has been a champion for the project. She has just completed a project where she assisted Hobby Lobby with the plans and design of a building for the company’s conference center known as the Legacy House. Jackie Green relishes her roles of wife, mother to six children, mother-in-law, and “Gigi” to four grandchildren. The NRB Board of Directors Award is one of 21 awards that will be presented during Proclaim 17, which takes place February 27-March 2, 2017, at the Orlando World Center Marriott in Orlando. For the complete list of 2017 award recipients, click here.